Melissa Odabash Summer 2019 Collection. 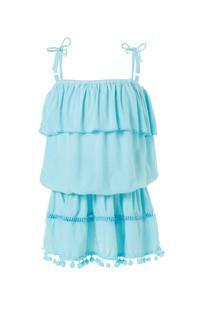 New to the girls range, the gorgeous dress is available in mango and sky. Wear with New York bikini in matching colours. Ladies Joy Dress Dress available online in mango and sky.